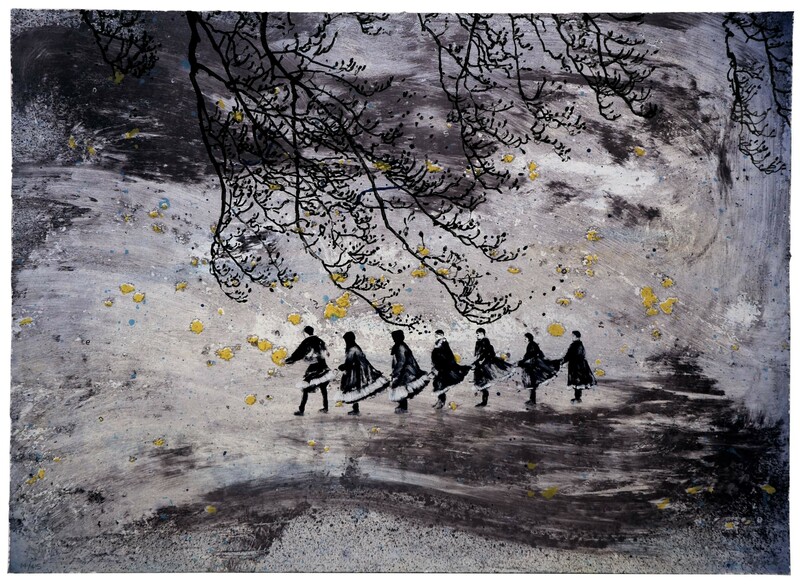 Elizabeth Magill worked on the Parlous Land series of lithographs over the course of several months, beginning by drawing and painting the images before they were transferred on to lithographic plates. Between three to seven litho plates are printed on top of one-another to build up the final images from this portfolio. The subject matter is drawn from Magill's extensive archive of images, the sources ranging from found imagery to book illustrations, to photographs she has taken. Some of the scenery originates from identifiable places in Northern Ireland, where the artist grew up. Single lithograph from a portfolio of 10 lithographs titled 'Parlous Land.' Published by The Paragon Press in 2006.